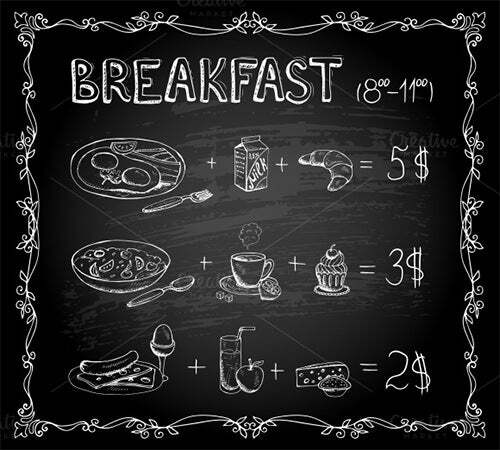 Breakfast is the most important meal of the day. 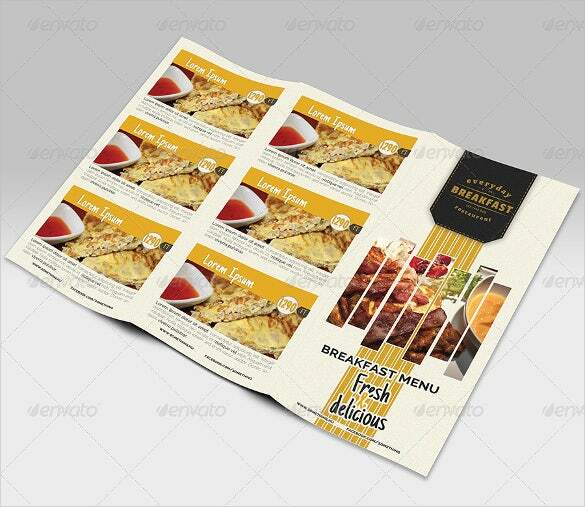 Make it equally refreshing and cheerful with a custom designed breakfast menu. 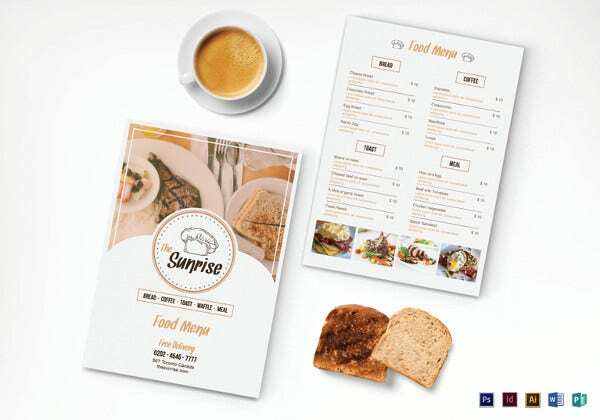 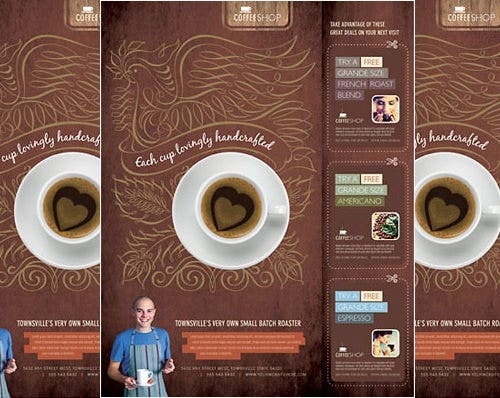 Explore a wide range of options and select the most suitable breakfast menu template to greet your customers every morning. 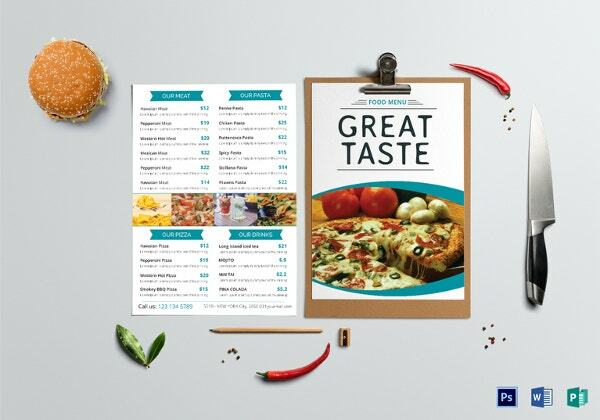 Vibrant colors and pleasant designs of these Menu Templates are sure to leave them asking for more. 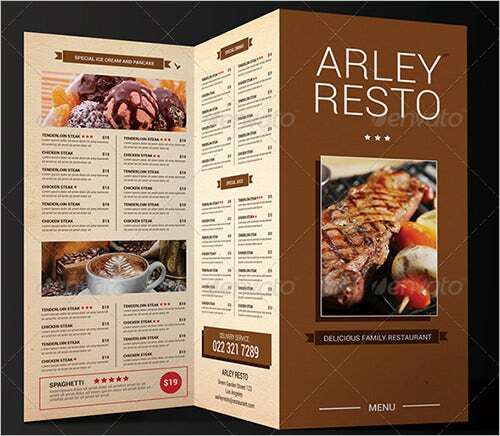 This PDF tri fold sample restaurant menu template comes with a brown color and images of the items offered in the restaurant. 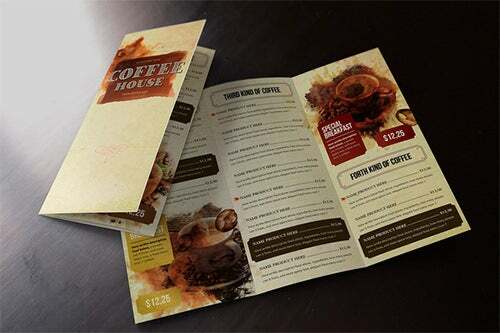 This template will help you come with a great menu. 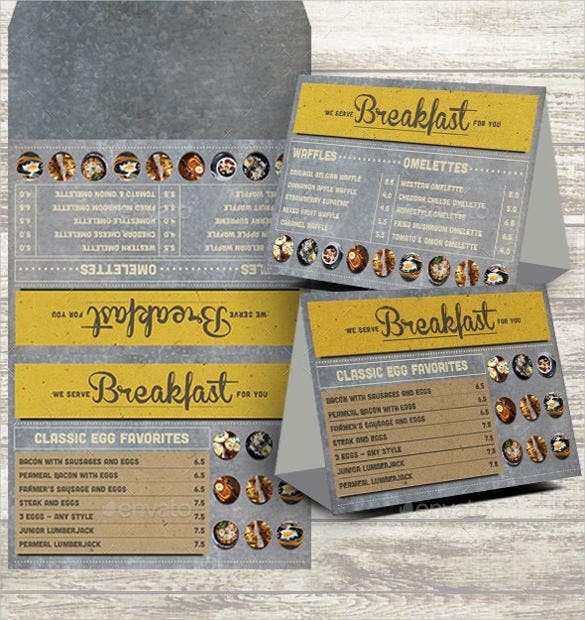 This Word breakfast chalkboard menu template comes with the picture of items served. 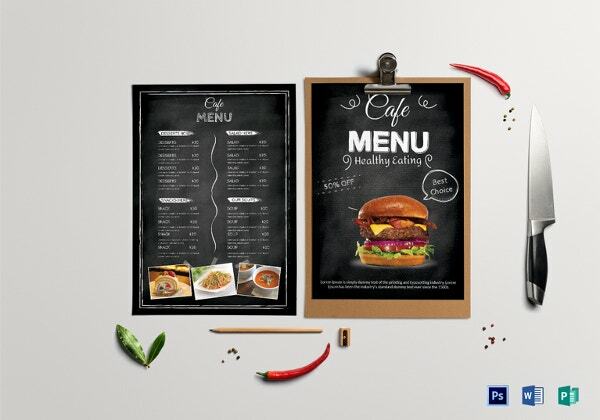 This menu template makes it easy for the customers to choose as they are really visible on the big chalkboard. 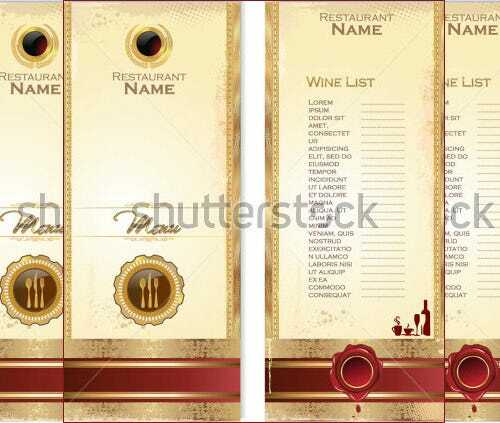 This Excel format luxury template for a restaurant comes in gold and a red ribbon. 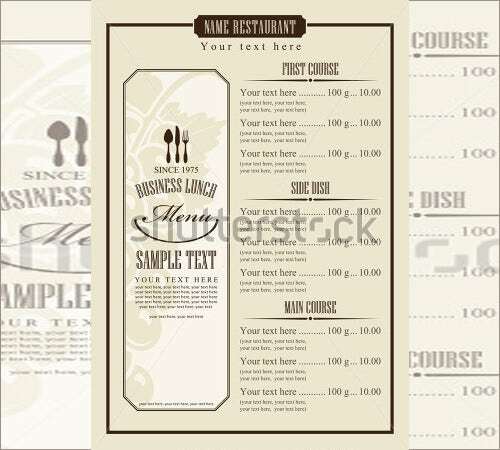 The menu is a simple wine list that has the names of the wines against their prices. 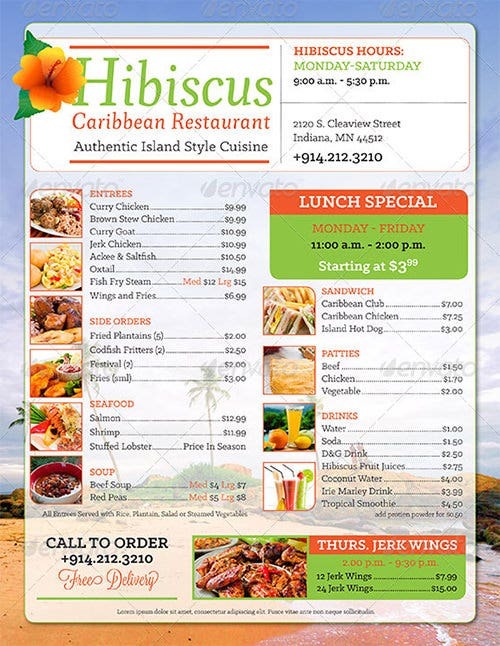 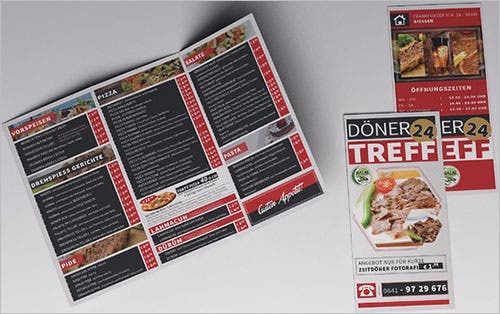 This PDF Caribbean restaurant take out menu template comes in green, red and black. 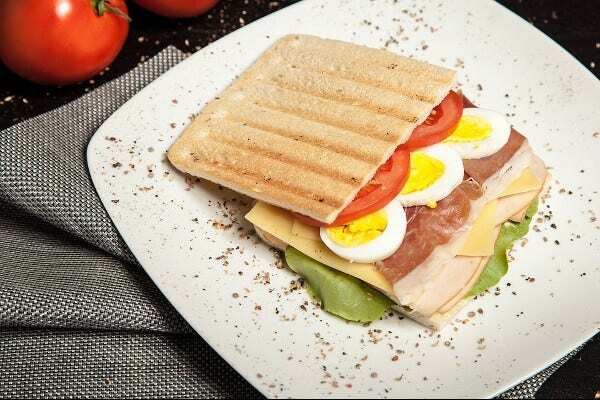 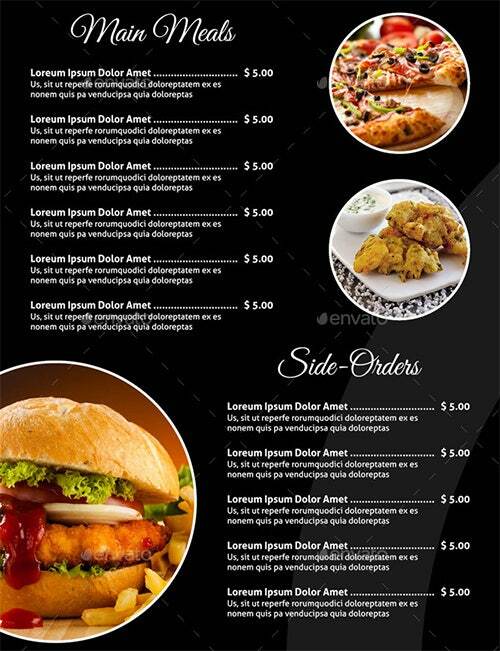 The menu offers sea food, patties, soup, entrees side orders, drinks and sandwich which are arranged neatly. 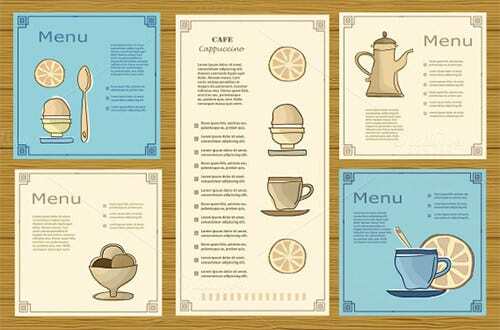 This Word vintage breakfast restaurant menu template comes in black and white. 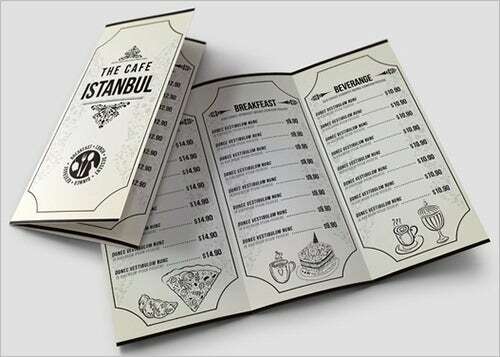 This menu comes in a simple page split menu with the restaurant’s name on the top of it. 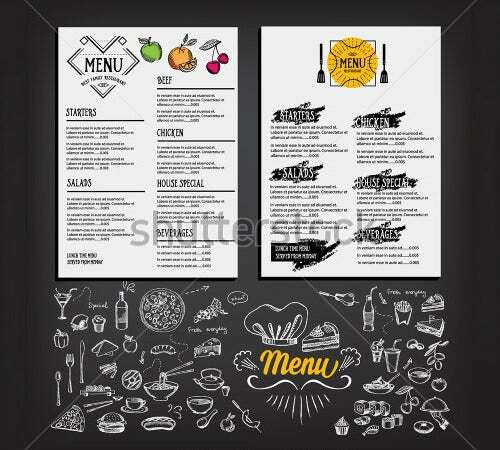 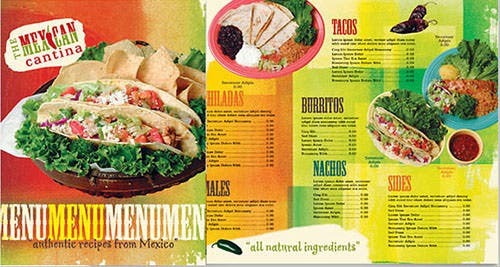 This Excel formats food menu template comes in black with the food images on it. 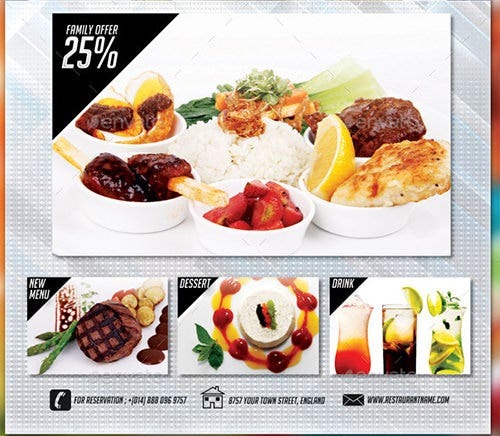 The items offered are main meals and side orders making it simple to refer from. 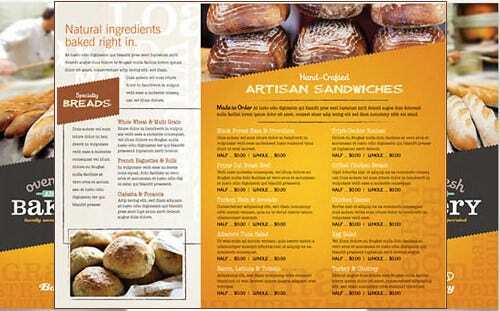 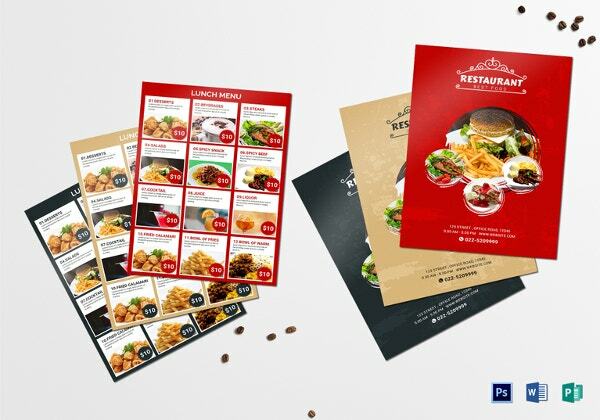 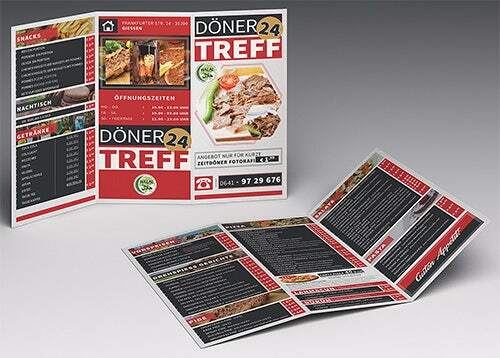 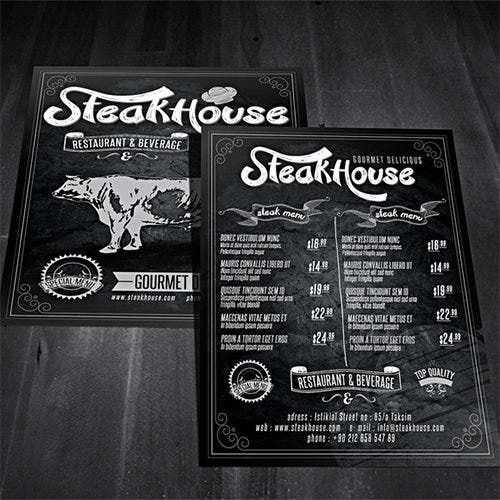 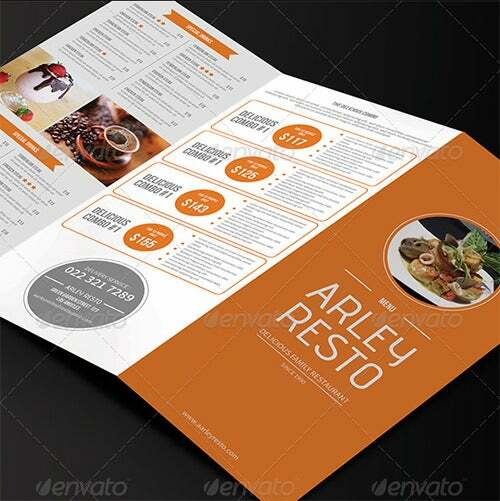 This PDF food menu restaurant template comes in two different designs. 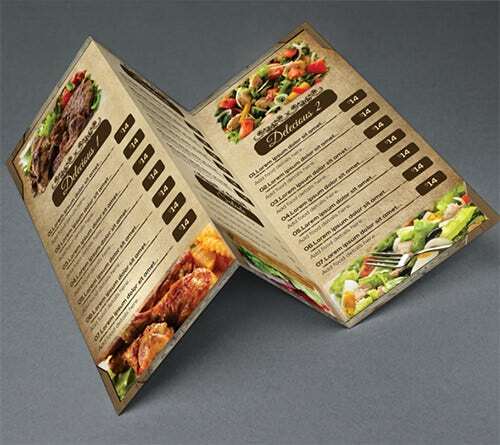 You can download the template to choose the menu you would like to go with as your own menu. 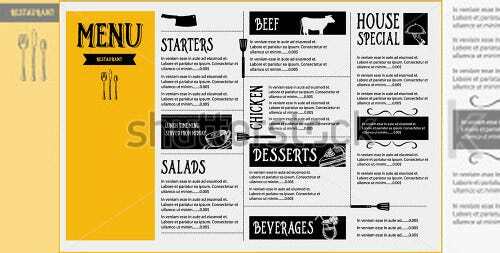 Accommodating all your delicacies on your menu is an important task in a restaurant as it gives the customers a list to choose from. 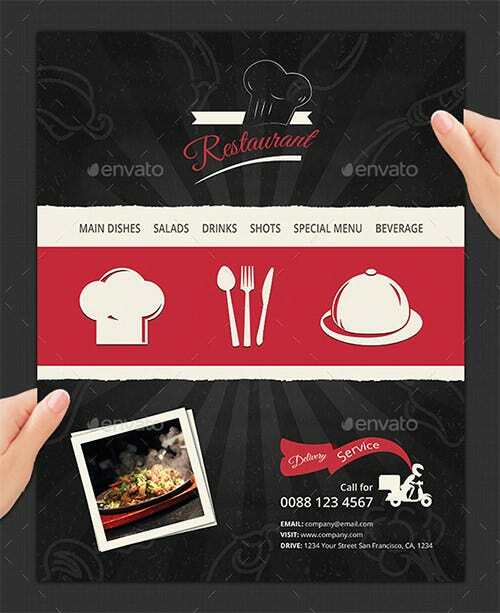 This Word vintage tri fold restaurant menu template is for you. 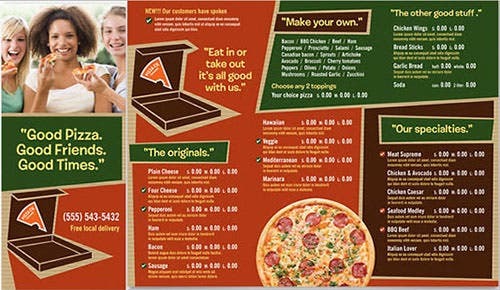 If you are running a healthy food restaurant then having the right menu to spell this out is a brake through. 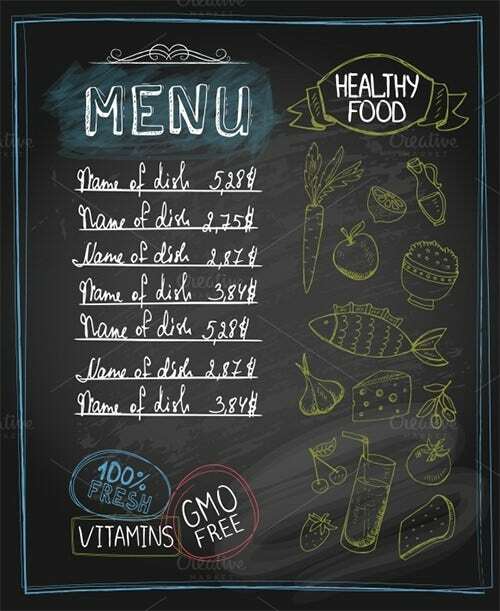 You can download this Excel format chalkboard healthy food menu template for use. 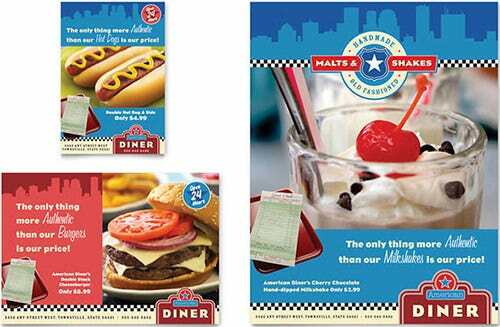 This PDF American diner restaurant menu template has images of a burger, hot dog and ice cream. 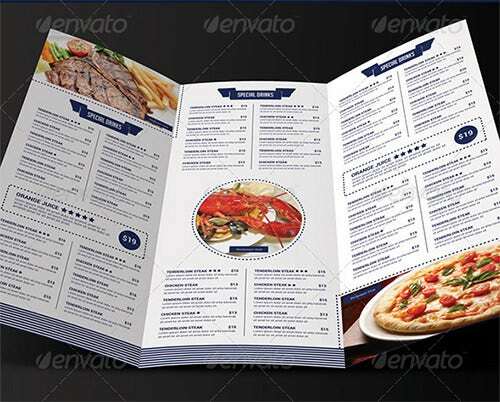 The menu comes in a light blue and red color and you can choose from the both of them. 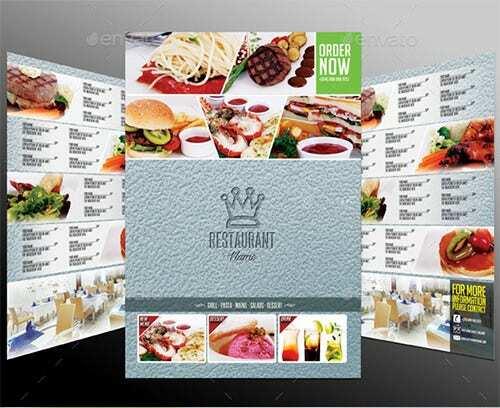 The variety of templates available these days is endless. 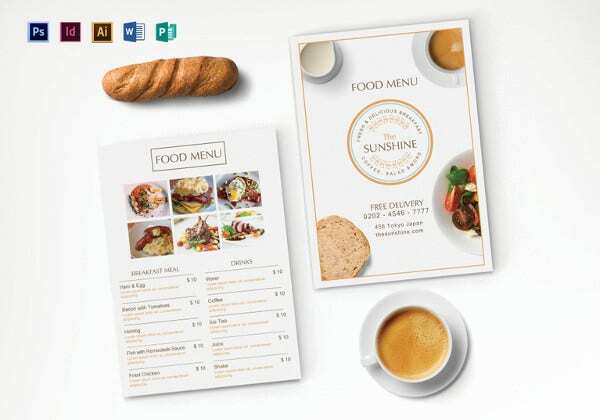 You can choose from a wide range of shapes, sizes, styles and designs to complement the ambiance of your cafe or restaurant. 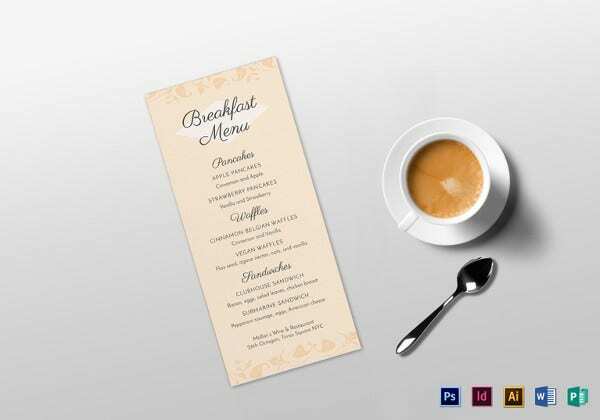 Whether you are looking for something classy or vibrant, chic or fancy, you will not be disappointed.Customizing the breakfast menu template by adding graphics, images and text is also possible, making the entire process even more exciting. 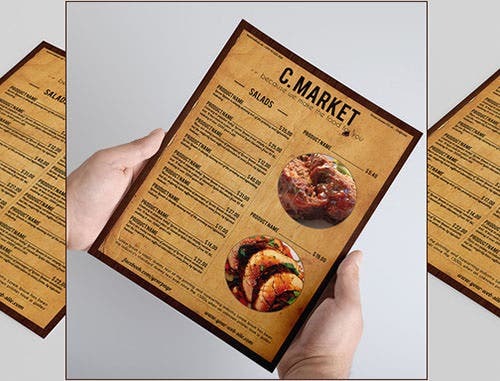 You can also see Food Menu Templates.